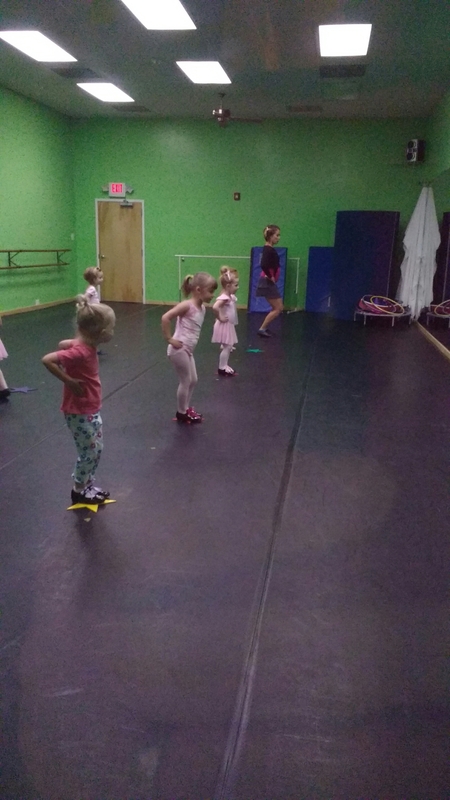 On our way to Eleanor’s first dance class, I knew she was excited, because she was telling me in great detail how to recognize her in the class. She was supplying me with a lot of information that I could clearly just use my eyes to see, but I was really excited for her, too. 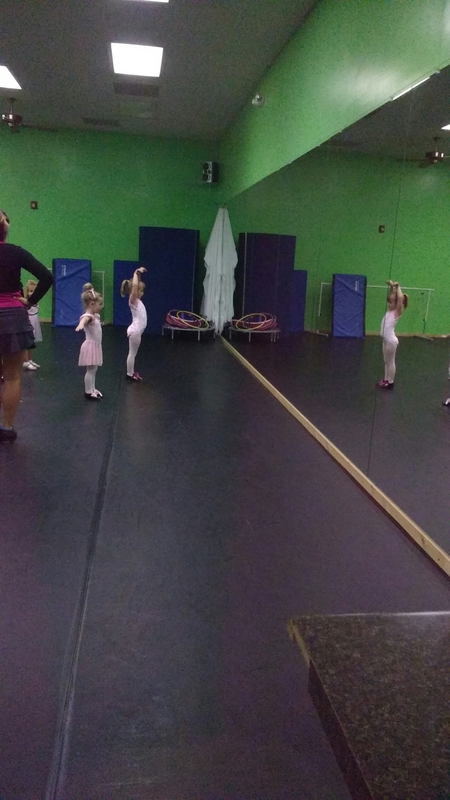 I told her I would watch her class, but wouldn’t be in the room with her (the parents stay behind a two-way mirror). 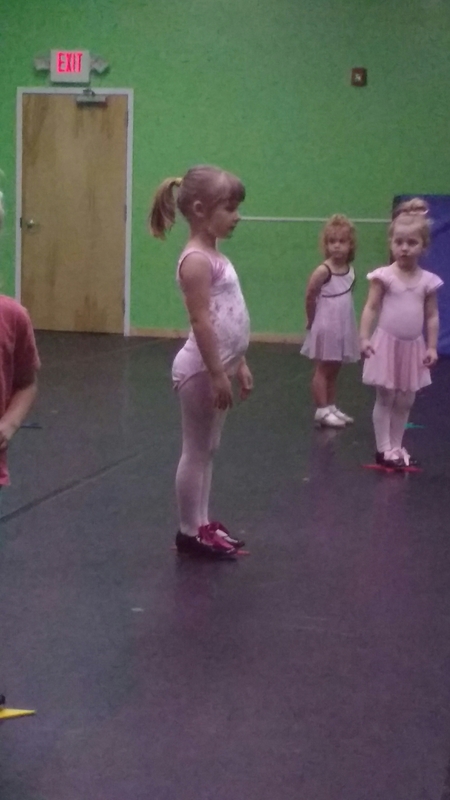 She was a little nervous about that, but got over it the moment the instructor opened the door and introduced herself. Eleanor was the oldest girl in class, and was also the best listener. 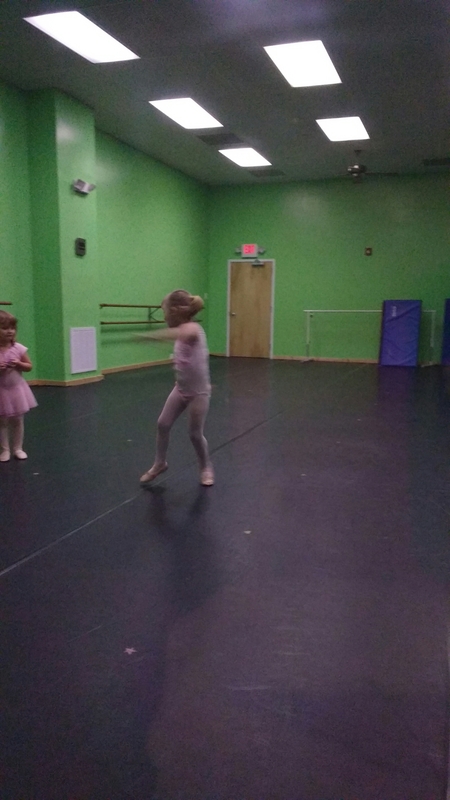 Everyone was adorable, and one girl who had been doing gymnastics for years already had great poise. But Ele was my star. The first twenty minutes were tap, and the second half was ballet. She now loves both. After class, she asked me how she gets a trophy to take home, so I explained a little about competition. Then she wanted to know about performing for grownups, so we talked about recitals, and when she might get to do that. She informed me on the drive home that she will be a star in a recital, then win a competition and bring home a trophy that she will keep forever. I am sure she will do anything she decides to do. Good form, Ele! Classy, cultured, slow-clap.